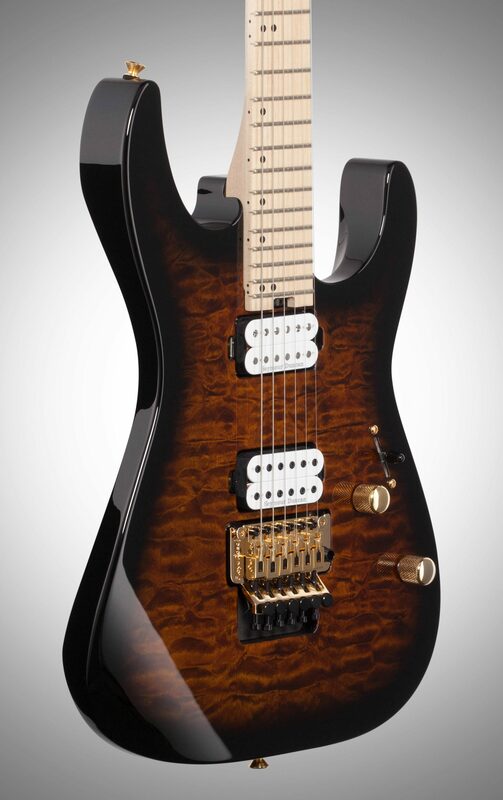 A powerful tone machine built for the harder side of rock, the new Charvel Pro-Mod DK24 HH FR M QM comes supercharged with premium features. 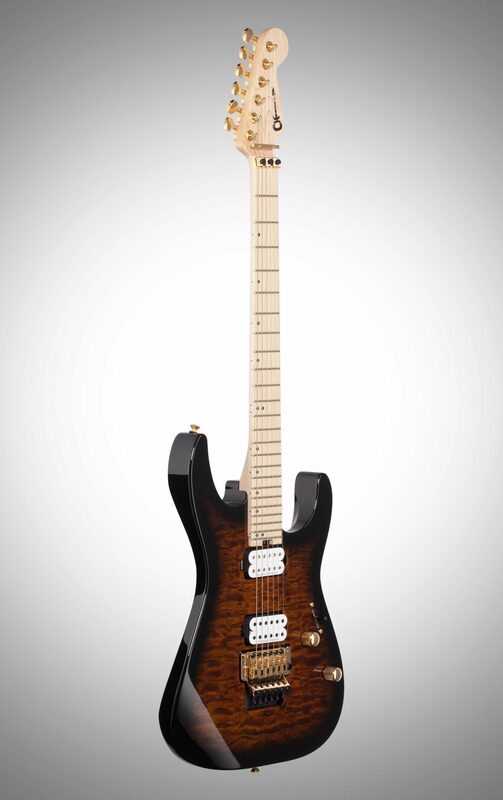 The sleekly sculpted Dinky body is constructed from alder and has a beautiful quilt maple top and a bolt-on two-piece maple neck with graphite reinforcement for rock-solid stability and a hand-rubbed urethane gel back finish for sublime and speedy playability. 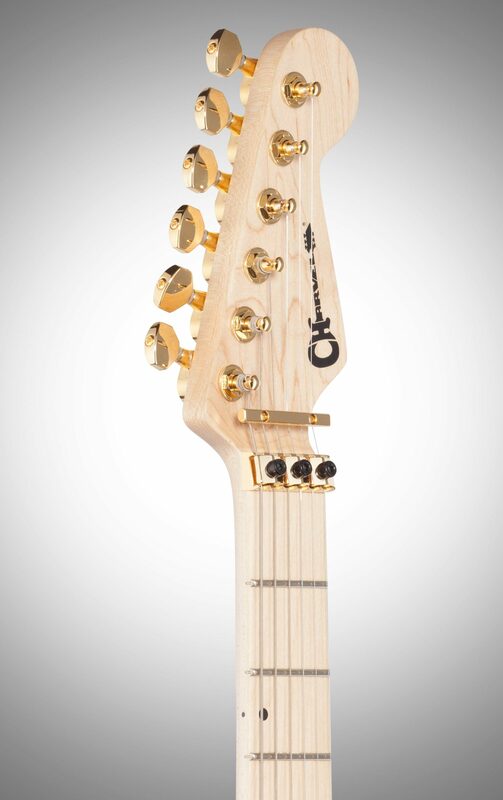 The 12"-16" compound radius maple fingerboard hosts 24 jumbo frets and offset dot inlays, and a heel-mounted spoke wheel for quick and easy truss rod tweaks. Under the hood, the DK24 is ready to handle your heaviest riffs, tastiest leads or angelic clean tones with a Seymour Duncan Full Shred bridge pickup and a Seymour Duncan Jazz neck pickup. 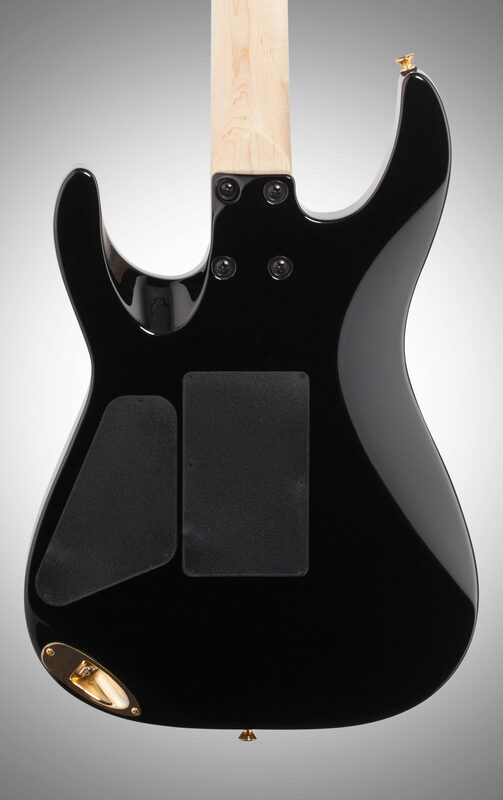 Dial in the tonal spectrum that best suits your playing with five-way blade switching, master volume and a No-Load tone control that operates like a standard tone control from positions one through nine, removing itself from the circuit at position ten for transparent sound, letting the full natural voice of the guitar shine through. 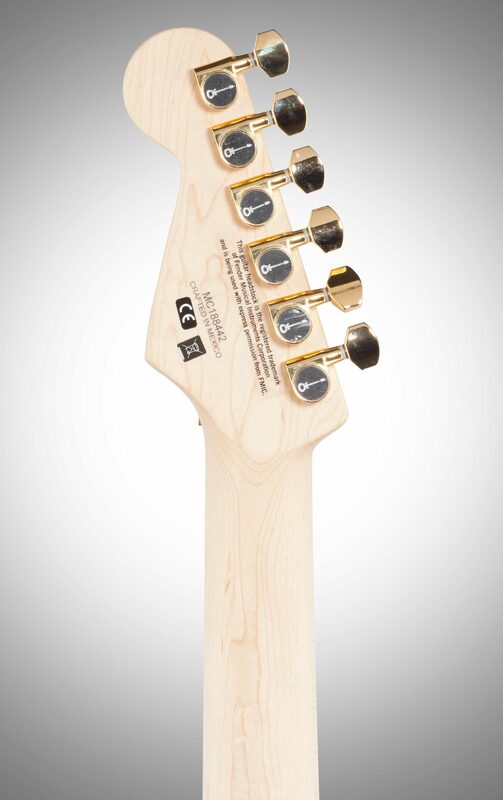 Also, enjoy improved sustain and intonation from the recessed Floyd Rose 1000 series double-locking tremolo bridge system. Style of Music: Metal, rock, blues, and jazz. 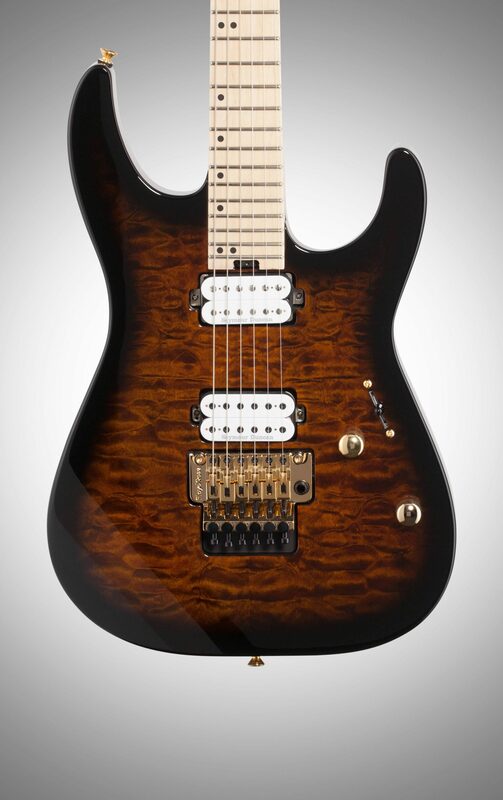 Overall: I have 4000 dollar guitars that do not sound nor play as good as this Charvel does. 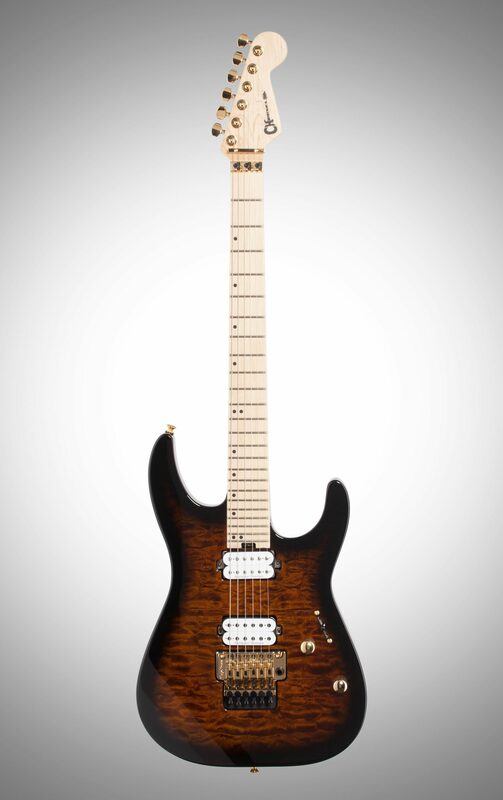 I would recommend this to anyone wanting a strat body , with the sound and feel of a Charvel . 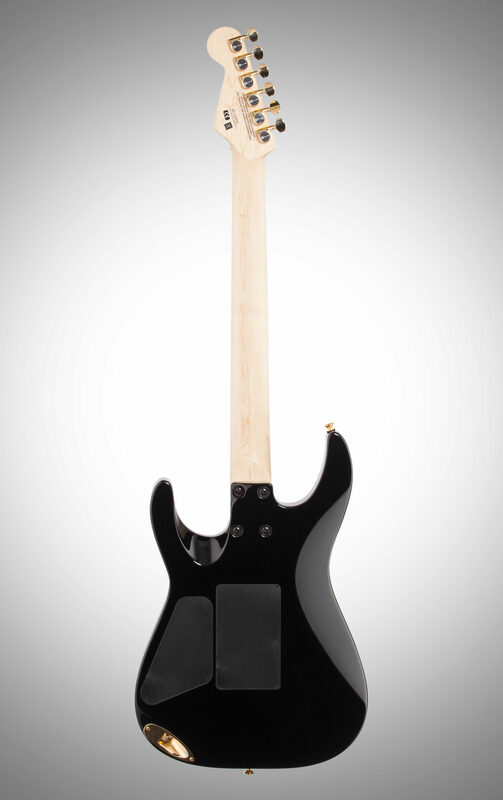 Best guitar I own by far.